Dr. Kerwin has experience as a mental health counselor in a K-12 school-based setting, adolescent offenders program, and in university counseling centers. She also has worked as a community-based advocate for refugees. Courses you are likely to take from Dr. Kerwin are Introduction to Professional Counseling, Lifespan Development, and Addictions. Her research interests include professional identity, social justice, and counselor education. 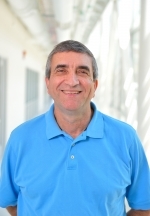 Dr. Balkin has been a counselor educator since 2003. He practiced for seven years and inpatient psychiatric hospital working with adolescents, adults, and geriatric clients and has worked as an outpatient counselor since 1996. 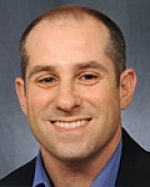 He has taught courses related to research, assessment, theories, and counseling practice. His research interests include counseling outcomes, instrument development, research methods, forgiveness, and religious diversity. 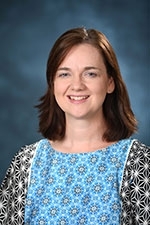 Counselor Education Faculty: Mandy Perryman, Ph.D.
Dr. Perryman is currently serving as an Assistant Professor at the University of Mississippi within the Department of Leadership and Counselor Education. She has over 12 years of experience counseling children, adolescents and adults and providing play therapy. She is actively involved in the Mississippi Counseling Association and the Mississippi Association for Play Therapy. 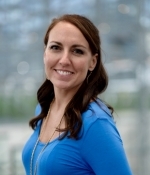 Her research interests include grief experiences in Counselor Education programs and college student wellness. Dr. Showalter is currently serving as a Clinical Assistant Professor of Leadership and Counselor Education at the University of Mississippi. He has spent the previous twenty plus years as a counselor and administrator working with college students and their families. He has taught students from preschoolers to graduate students and has presented workshops on a variety of topics. His area of interests includes a focus on developing the counseling relationship as well as the personal experience of the counselor during the counseling process. Dr. Winburn is currently serving as an assistant professor at the University of Mississippi within the Department of Leadership and Counselor Education. Dr. Winburn is a licensed educator with endorsements in secondary english, counseling, and administration. 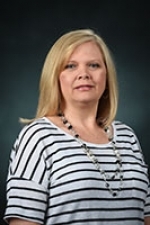 She currently teaches courses within the school counseling and play therapy specialty area and serves as the faculty supervisor for school counseling students. 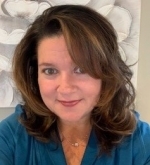 Dr. Winburn also has a strong interest in school based play therapy, she has been actively involved in play therapy at the University of Mississippi both at the clinical setting as well as actively conducting research within the field. Other research interest include the use of technology in counseling, wellness, and bullying.